Enjoy a week of carnival events in Alicante with music, parades and exhibitions enjoyed by thousands of residents and visitors. 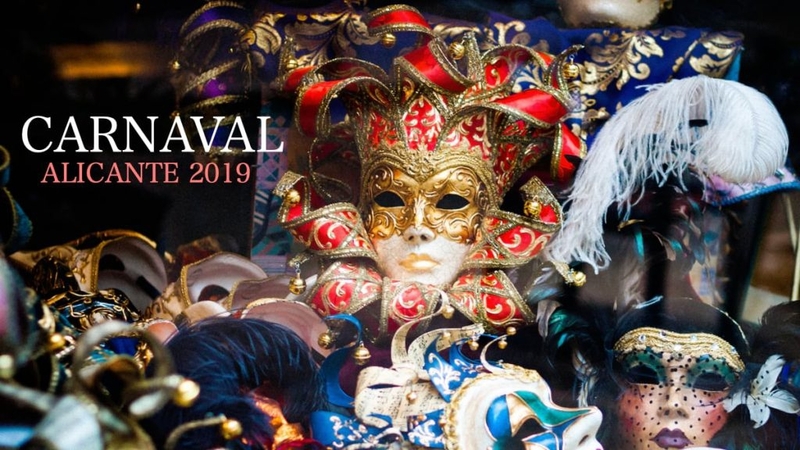 At 9:30 p.m. in the evening, in the Plaza del Carmen, the proclamation will be given which will officially start the Carnival of Alicante 2019. Saturday March 2 - Sabado Ramblero. Loads of activities for everyone in the Explanada..
Celebration of the well-known 'Juicio y Procesión del Pelele', from the Plaza de San Cristóbal to the Plaza del Carmen. Wednesday March 6 Entierro de la sardina. Burial of the sardine in Alicante Starting at about 10pm from the Plaza del Carmen followed by dancing and live music in the Plaza del Carmen at 11pm. Sunday March 10 - Domingo de Piñata.